Forest Garden Wrekin Log Cabin 4.8m x 3.5m: The Wrekin Log Cabin by Forest Garden is a wonderful building that combines a large leisure space perfect for garden office or gym and a separate, lockable storage space which can be positioned on either side of the cabin and is ideal for lawnmowers or garden furniture. 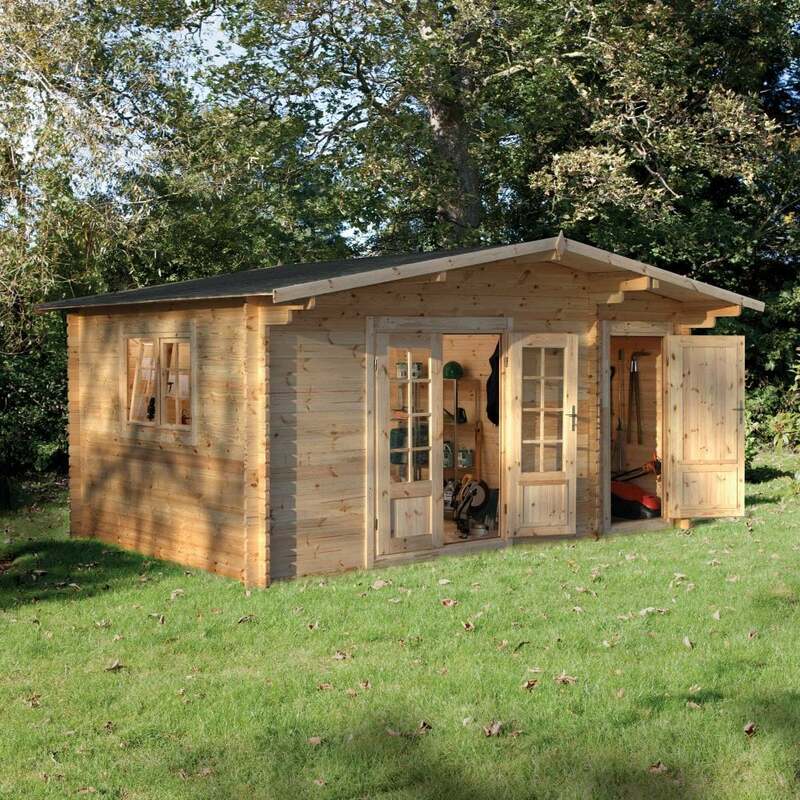 The 4.8m x 3.5m Log Cabin is manufactured using kiln dried 34mm smooth-planed logs and 19mm tongue and groove roof and floor to provide support and strength to the building. The Forest Garden Log Cabin features double doors combined with one tilt and turn window to allow plenty of natural light and air circulation through the building. The Wrekin Log Cabin includes fleck rectangular roof shingles to protect the building from harsh weather.